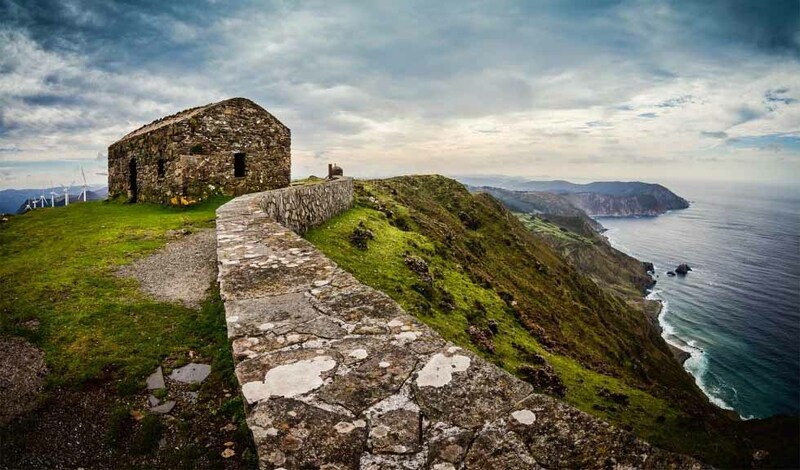 The coastline of Galicia makes up one of the largest landscape values ​​of our country. Many tourists and audiovisual professionals decide each year to come our land seeking to capture, with their gaze or the lens of their cameras the confluence of sea and land from a privileged place. In 2013 the Lighthouse Route was created with the idea of ​​providing travelers the opportunity to spot the Galician scenic beauty from a height that allowed them to appreciate every single detail. 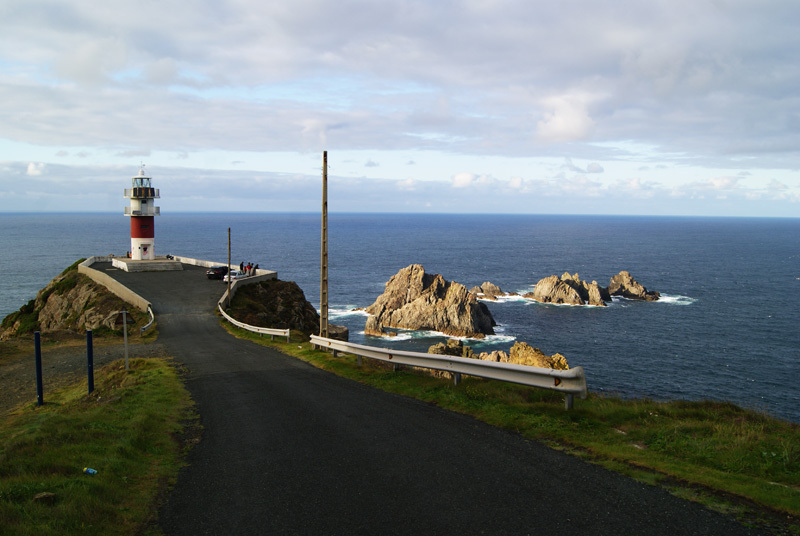 This route is a train ride that has as its starting point the town of Ferrol and as its destination Ribadeo, stopping at each of the headlamps and most valued viewpoints of northern Galicia. Then we present the different points where this route stops. 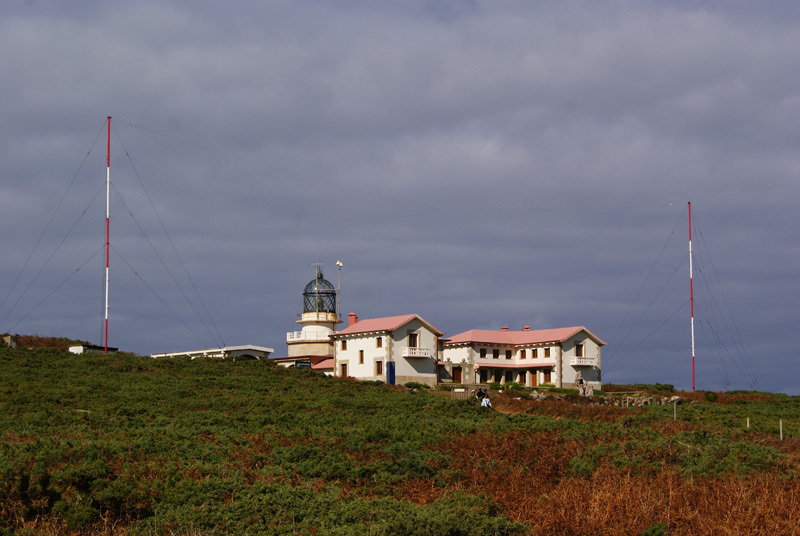 The first stop is the lighthouse of Cape Ortegal, a building of 10 meters with a range of 18 nautical miles from where the Serra da Capelada and Ortigueira Estuary can be seen. This lighthouse is located in a Site of Community Importance (SCI), which has this distinction due to its relevance in contributing to the conservation and restoration of biodiversity. The rock formations that make up the Cape Ortegal have black granite in morphology, which makes them the oldest rocks in the Iberian Peninsula with 1.156 million years. The next destination, the Vixía Herbeira viewpoint is located in the municipality of Cariño, in A Coruña, and provides one of the most beautiful panoramic views of the European coastline. This point is the highest peak in the Serra da Capelada, about 620 meters above sea level. From there, you can see one of the cliffs with the highest altitude and inclination of Europe. 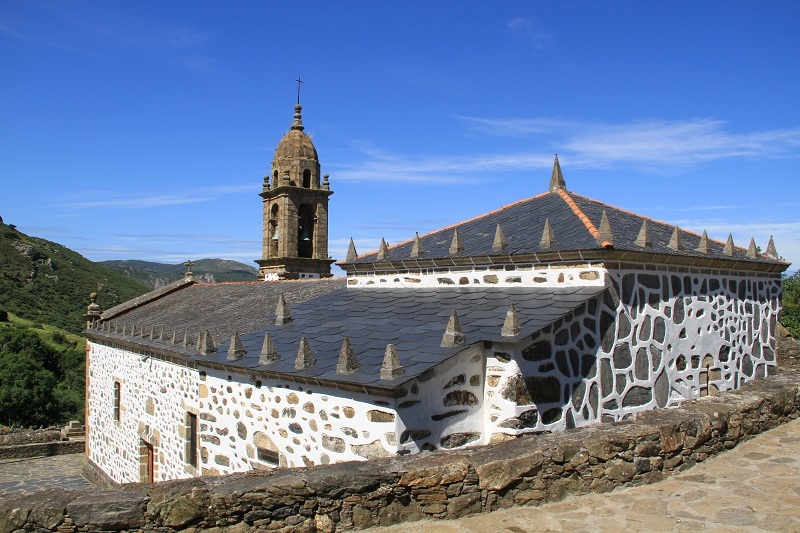 After leaving Vixia Herbeira down, passengers can access to the Santuario San Andrés de Teixido, a church with a great popular tradition behind and pilgrimage point for those who want to avoid a little benevolent reincarnation because, as the legend says, people who didn’t go to visit San Andrés when they were alive, they will go reincarnated in one of the animals that inhabit the place. Located in a privileged position from which you can see the cliffs of the Serra de Capelada, this church blends the Gothic and Baroque styles both inside and on the facade. 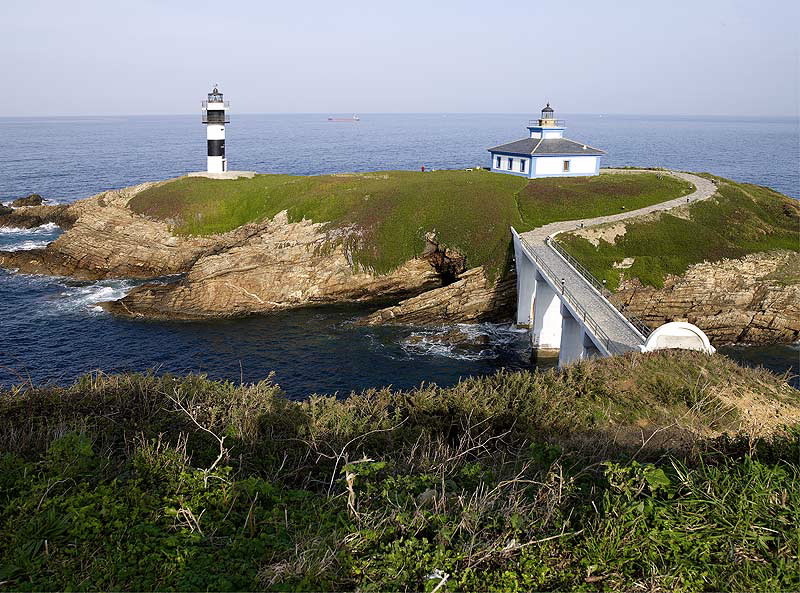 Once travelers have met his visit to the saint, the journey will continue until the Stake Lighthouse Bar, located in the municipality of Mañón Coruña and from which you can see the Ria of O Barqueiro. The peculiarity which makes this lighthouse one of the most famous, is in his situation. And the lighthouse Stake Bars is located on the invisible border that links the Atlantic Ocean and the Bay of Biscay. The lighthouse, in operation since the second half of the nineteenth century, has a height of 33 meters with light reaches 25 nautical miles. Leaving the region of Ortegal, the train will head to Ribadeo, its final destination. There, travelers can enjoy the lighthouse of Illa Pancha, opened in 1859 and located at the mouth of the Estuary of Ribadeo. Its light source, as amended in 1983, has a range of 21 nautical miles, when the original made visible only 9 miles. The lighthouse is connected to the Ribadeo village by a bridge, two kilometers away from the center. 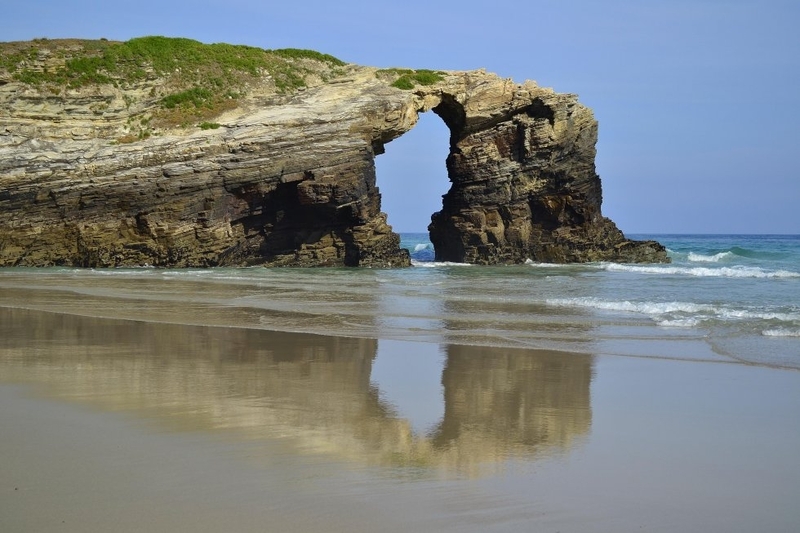 The Praia das Catedrais beach is also located in Ribadeo, and it is the most visited of the region. The charms of this beach of 1400 meters of fine sand are several. On the one hand, are its rocky buttresses of more than 30 meters high and topped by spiers caves. In addition, the appeal of looking at rock formations perspective, watching arches appear to lie within others. Not forgetting the viewpoints from which you can see the wonderful coast of A Mariña Lucense. Those passengers who at the end of the route in Ribadeo want to return to Ferrol, may also do so by train and those whose destination and origin is the city of A Coruña, will have a bus route which goes from Ferrol to Coruña and vice versa.